My name is Shirley Harris-Slaughter and I’ve been a published author since 2007, although my life plans never included becoming a writer. I was urged to write when I realized there were things going on around me, threatening my community’s survival and yet it seemed no one was paying attention to the urgency of it all. I never dreamed that I would be the “chosen one” to take on the task, but I was, and so, after much research, sleepless nights and being shunned by those who didn’t want me to tell this story, “OUR LADY OF VICTORY: THE SAGA OF AN AFRICAN-AMERICAN COMMUNITY” was born. Something that started out as just a timeline of events to honor the pioneers of this West Eight Mile Community, turned into a full-blown narrative history. Like most Indie authors, I was struggling to get even a little recognition in an already over-crowded field. Then, I happened upon the RAVE REVIEWS BOOK CLUB where I served for a short while on the Governing Board. This club is all about supporting and helping authors. 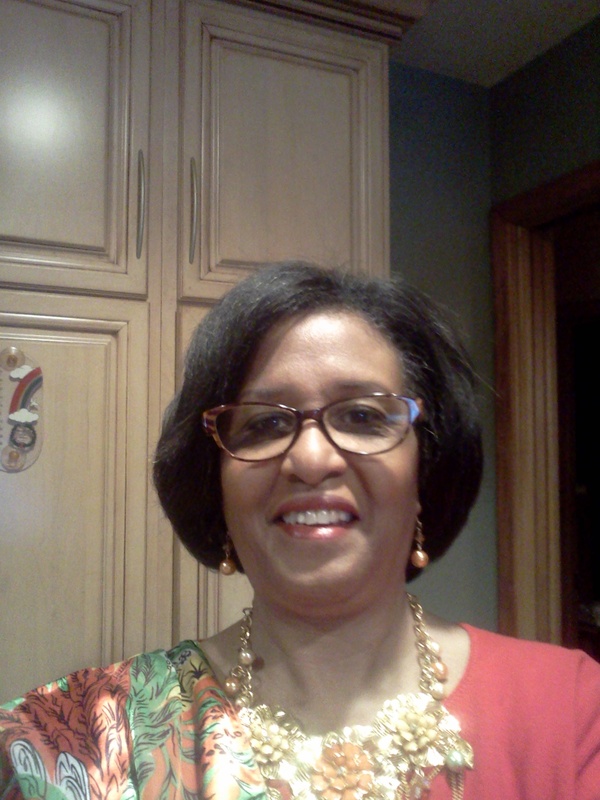 RAVE REVIEWS BOOK CLUB is the brainchild of Founder & President, Author, Nonnie Jules. She took the time to read my book and gave it an honest review. Since becoming a part of this awesome organization, I have been blessed with many opportunities which further profiled and brought recognition to my book. I have had such honors as being: the President’s Pick in the online Newsletter, a “WHO’S ON THE SHELF” Interview by Nonnie Jules, a #PUSHTUESDAY Winner, a week-long “SPOTLIGHT” AUTHOR BLOG TOUR,” Blogs and Trailer Block Parties, and I’ve held countless other seats, which are too great in number for me to list here. Aside from being an active reader and writer, I am also a community-activist, and from time to time, I lend my name to petitions to stop something or another, or, I may even pick up the phone to call my elected Representatives, if that’s what it takes to get something accomplished. Nice looking site, Shirley. I never realized how much you’ve achieved for the Detroit community. Patricia, I was driven to try and contribute something to my community. Listening to my mother talk about all the things she wanted to do sort of planted a seed in my brain and I started acting out some of her dreams. Thank you for stopping over to see the site. I’m glad you like it. Thanks go to NJ and 4WillsPublishing. I’m glad you like it Yvette. Thank you for stopping by. Bravo, what a crisp site and it’s also easy to navigate. Yes, I am thrilled to have a more professional looking website. 4WillsPublishing is responsible. Hello Mrs. Shirley!!! Words can not express how grateful I am to have come across your AWESOME literture and books. I am now over the old Dukette in Flint, Mi. and I would LOVE to talk to you about the wonderful things that are in the works. Hi Latina. It took me a day to realize who you are and what you are talking about. You must have read OLV where I talked about Fr. Dukette being cast out of Detroit and sent to Flint. I would love to talk to you too. Here is my email address where you can send your contact number: sharrislaughter@gmail.com. Hi Shirley! It’s great to read about you and your work! Hi Vashti! You made me come back and take another look at my page. I’m listening to the radio segment. Its really nice. Thank you for visiting my page. Sorry I only speak English so can’t respond to your post. You are a hard lady to track d I we lol. I’ve tried to tell you your review of Crazy!Hot! Living on the edge is on Amazon, goodreads, shelfari, fb and twitter. Whew. I was ready to hire a private eye to find you! Loved the book, Btw. Thank you Helen but what was it about my blog that made you nominate me? For me, it’s about the support you provide to other indie authors, both by promoting Rave Reviews Book Club and by actively reblogging great content ( which I might otherwise miss)! The blogosphere would be a lonely place without people sharing what they find, as well as their own work and experiences. Thank you Shirley for your visit to my blog and your kind words. Have a blessed evening. I have some hardcover copies left and once sold there is no more because I severed ties with the publisher. You can click on the paypal button to the right and order it for $23.